Are you a fan of cereal and cereal milk? Cereal Milk is the amazing, flavorful milk that’s leftover after a tasty bowl of your favorite cereal, you love that don’t you? 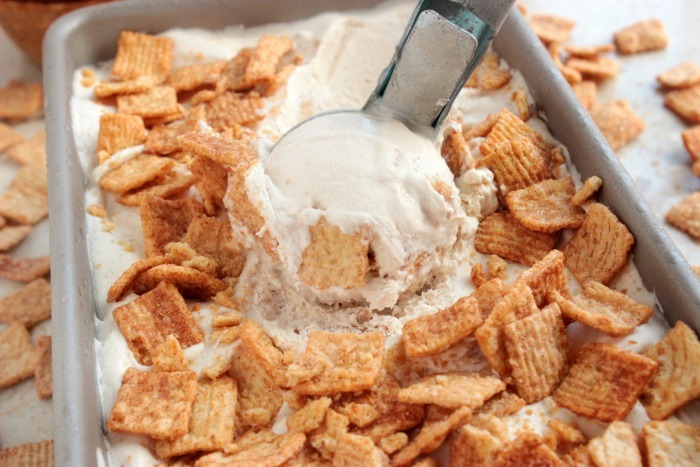 This No Churn Cinnamon Toast Crunch Ice Cream is the dessert version of cereal and milk! I love cereal and milk. It’s probably one of my number one breakfast foods, haha. I grew up eating cereal of breakfast almost every morning and the love of cereal had followed me right into adulthood. I feel like we normally have about 4-5 boxes of different cereal in the house at any given time. However, you know what I really love about cereal and milk for breakfast? THE MILK, the cereal milk! I love cereal milk. You know, the milk that has been soaking up all of the fantastic cereal flavor while you’re having breakfast, that’s what I love. I just want to bottle it up sometimes! Now if you know me, you know that I love making no churn ice creams. 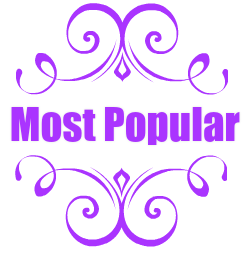 I have over 10 no churn ice cream recipes on the blog right now and I plan on adding a lot more this summer. 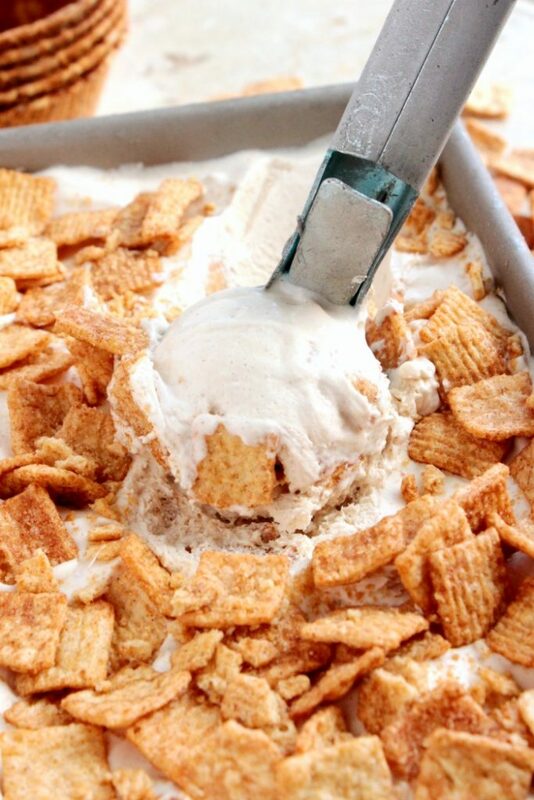 I’m going to start adding to that list but introducing this No Churn Cinnamon Toast Ice Cream to the list! I soaked some Cinnamon Toast cereal in the heavy cream before adding a but of vanilla and cinnamon sugar to the batch! Then once I mixed it all up, I stirred in another cup or so of Cinnamon Toast Crunch cereal! 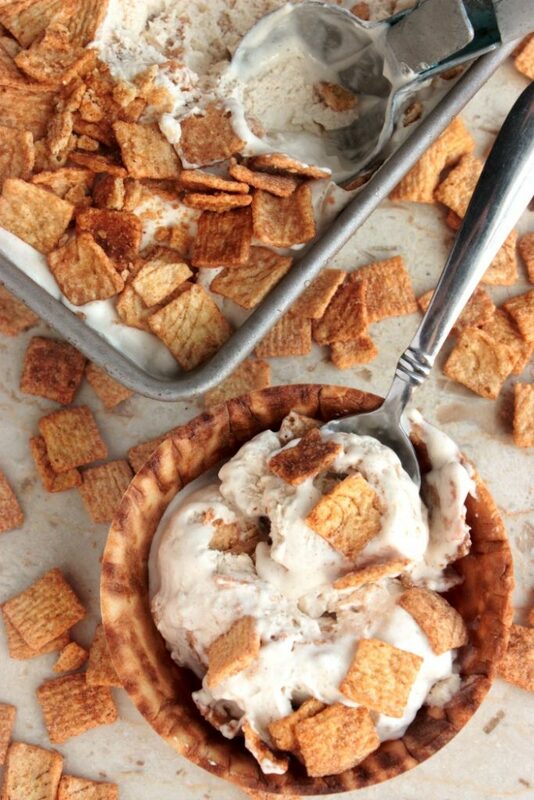 After a few hours in the freezer, this No Churn Cinnamon Toast Ice Cream was ready to be spooned into waffle cone bowls and devoured! 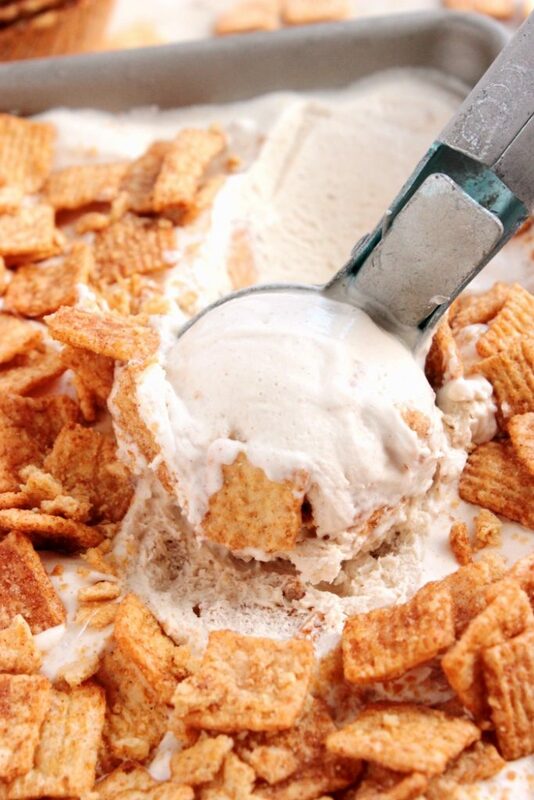 Are you a fan of cereal and cereal milk? Cereal Milk is the amazing, flavorful milk that's leftover after a tasty bowl of your favorite cereal, you love that don't you? 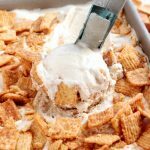 This No Churn Cinnamon Toast Ice Cream is the dessert version of cereal and milk! 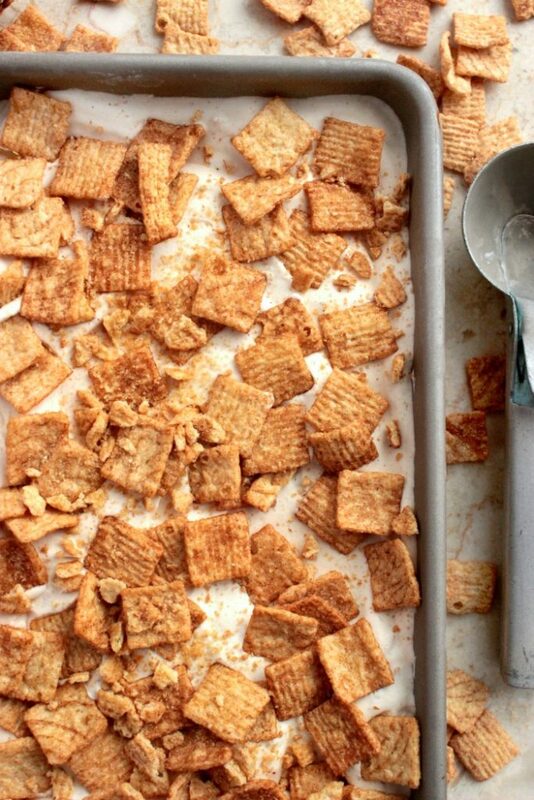 Combine 2 1/4 cup heavy cream and 2 cups Cinnamon Toast Crunch cereal in a medium bowl. Stir and cover with plastic wrap. 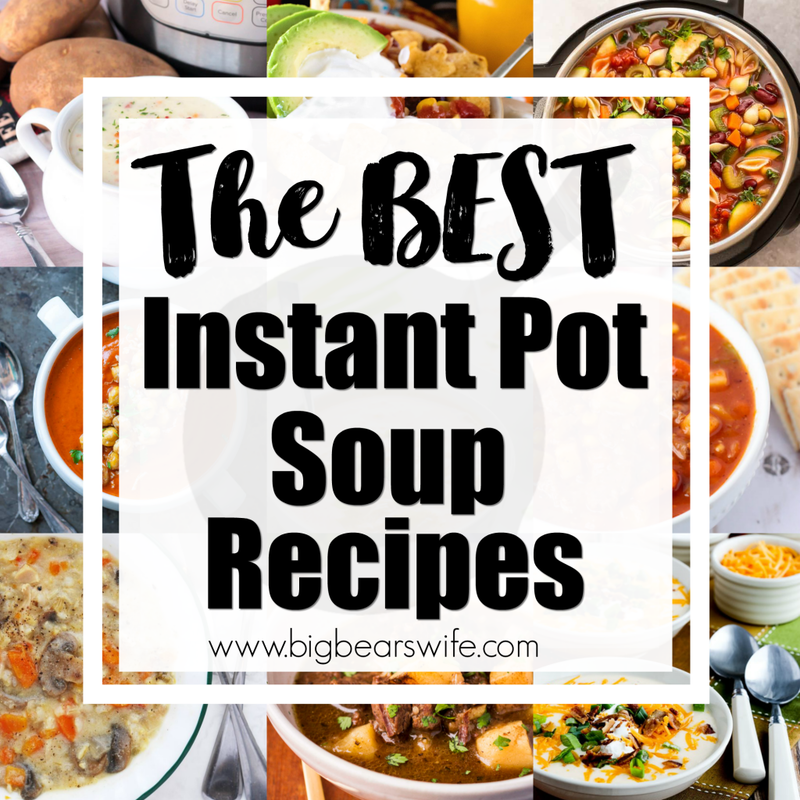 Place into the fridge for 2 hours or overnight. 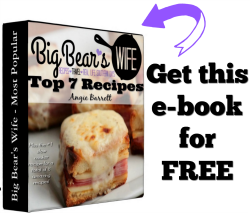 Remove cereal from heavy cream and throw out the cereal. 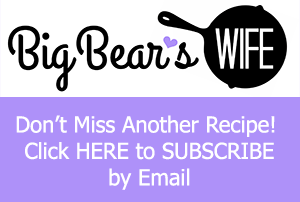 Add the cereal cream and 1 cup heavy cream to the bowl of a stand mixer. Whip heavy cream,, vanilla and cinnamon sugar together a few minutes until stiff peaks form. 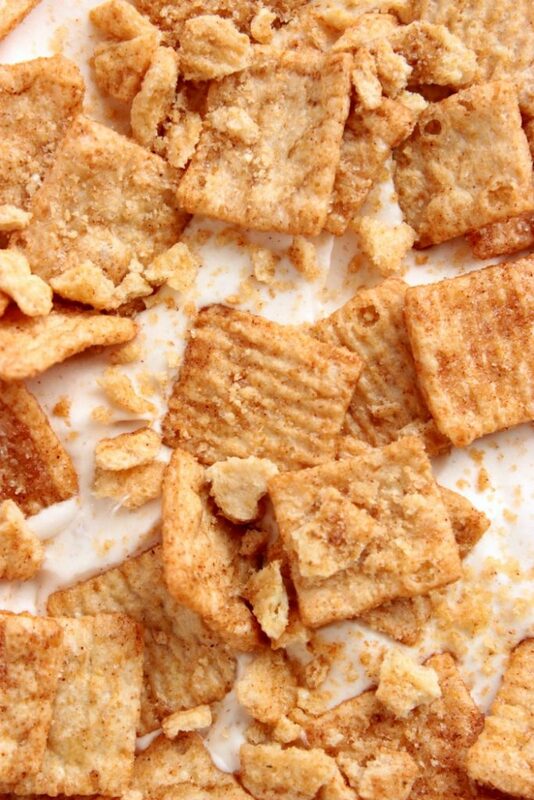 Fold in 1 cup cinnamon toast crunch cereal. Top with the rest of the cereal. Brilliant! 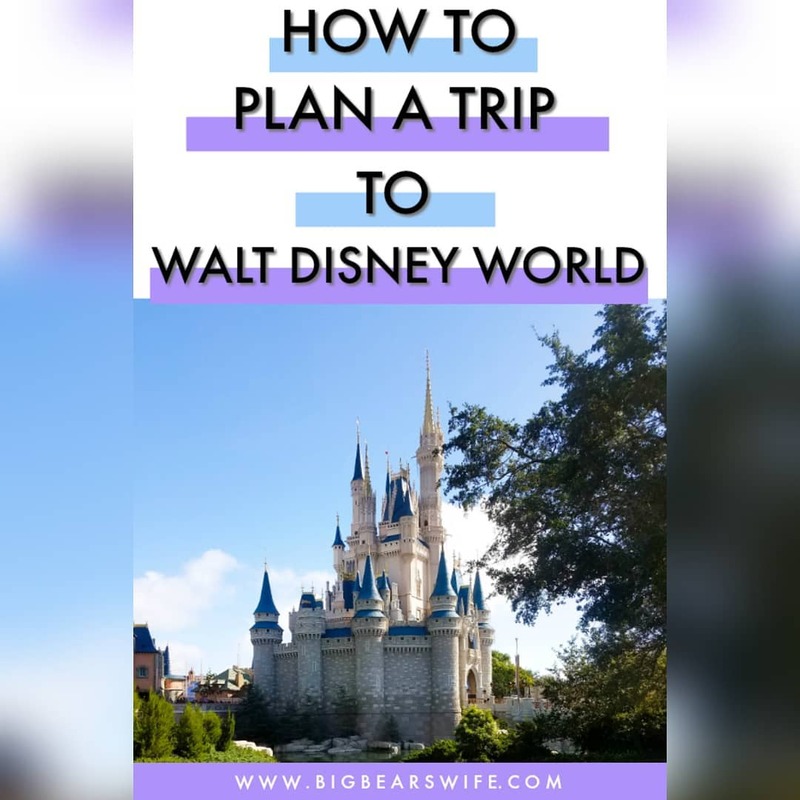 You can never have too many ice cream recipes – I love the idea of crunchy sweet cereal in this.